As soon as I saw the challenge, it made me think of my days working at Six Flags. I worked there for at least 5 summers. I found 3 pictures of myself working there! 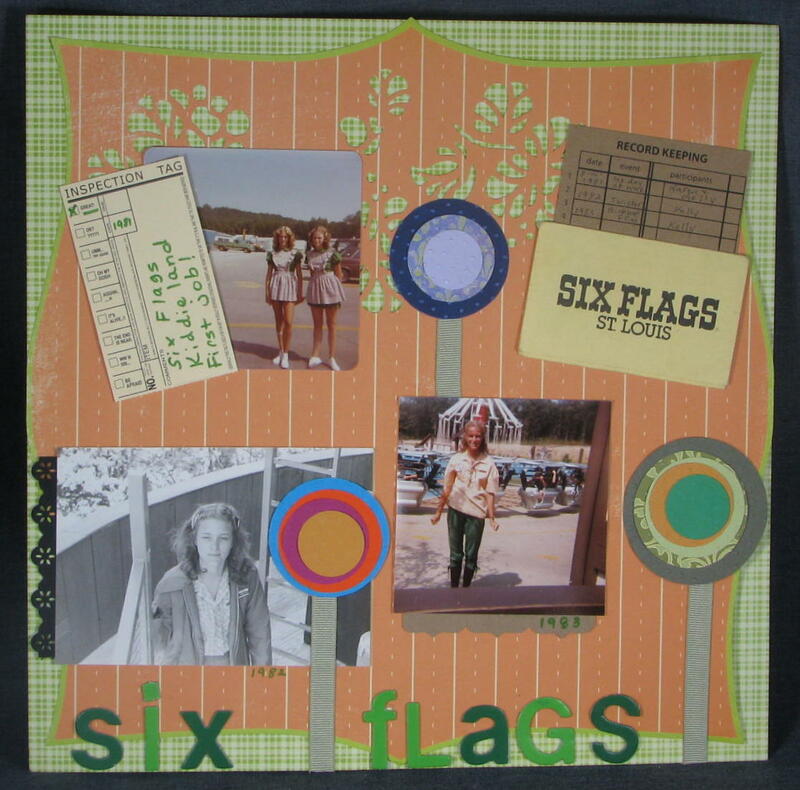 My twin sister and I started there together at Kiddieland--I guess that is why I thought of Six Flags when I saw the flowers! I created this collage-type layout with lollipop flowers for a Candy Shoppe Designs (badge on my ONLY sidebar--keep looking) challenge and the prize is a SUPER kit from The Magpie Club!! Just Beautiful! Thanks for looking! If you want to play along, get going! The deadline is May 31! Used Sketch #125 from Sketch Inspiration. 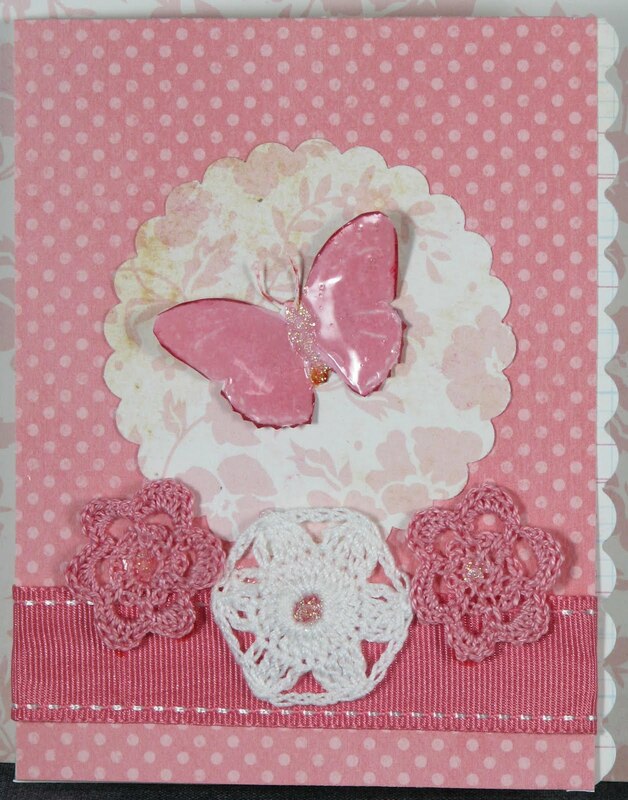 I made this Pretty in Pink card with two challenges in mind. The first is The Shabby Tea Room's Week #11 challenge entitled The Polka Dot Tea Party . The sponsor for this one is Sharon Johnson from the Stamp Simply Store. 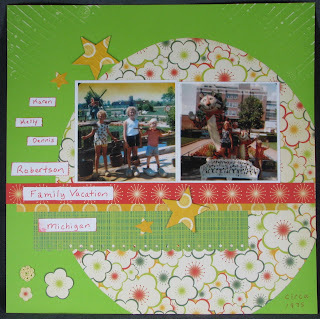 It also fit well with the City Crafter Challenge Week 6 to use 1 ribbon, 2 papers and 3 flowers whose sponsor this week is The Scrapbooking Cottage. Father's Day Card - Texture and Distressing! This card is a little out of character for me. I really didn't like the paper under the squares but I have now made two projects out of it and found that by stretching my imagination, I could make something a little artsy out of it! 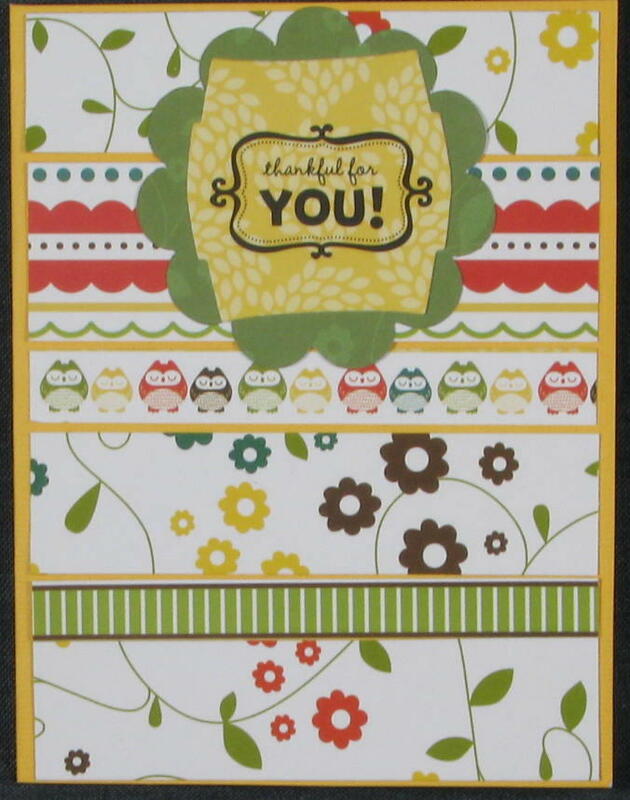 The card has some distressing and a lot of texture! I got the sketch from CPS Challenge #168. 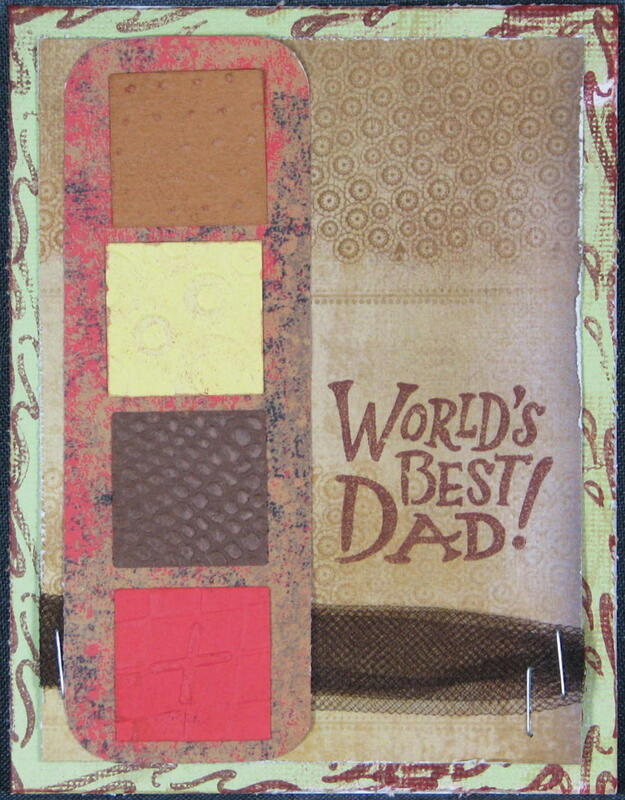 I am also going to submit it to a Father's Day challenge on Ideas for Scrapbookers. If you haven't checked out that blog, you should really think about it. It is just filled with ideas! 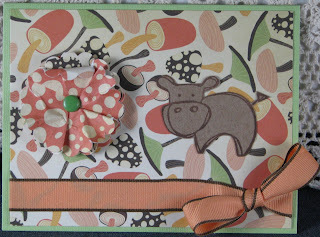 Don't forget about my blog candy! Don't forget about my challenge post! 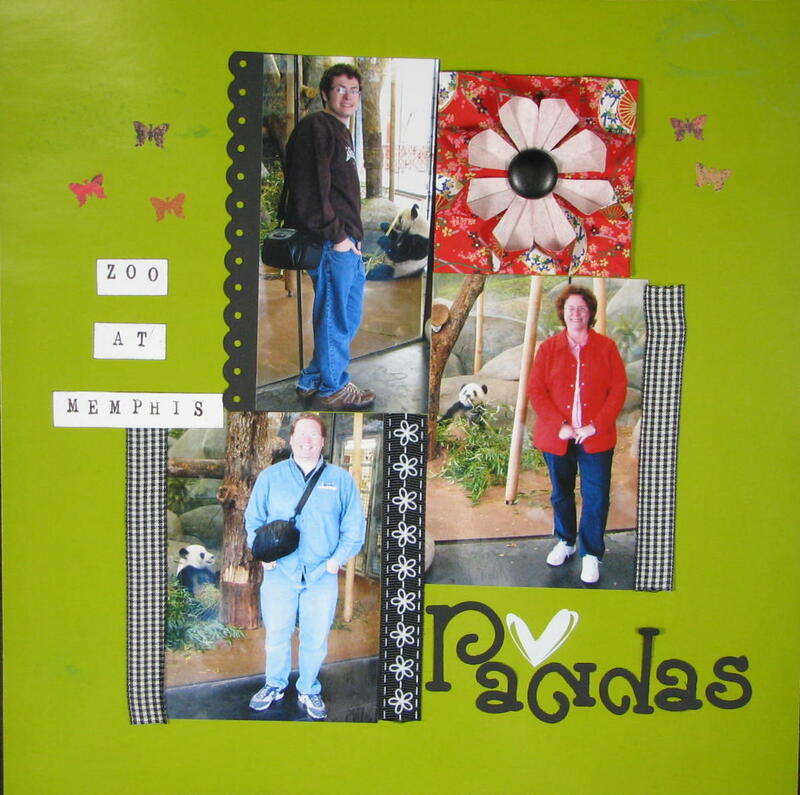 I made this for ScrapFit 's challenge. 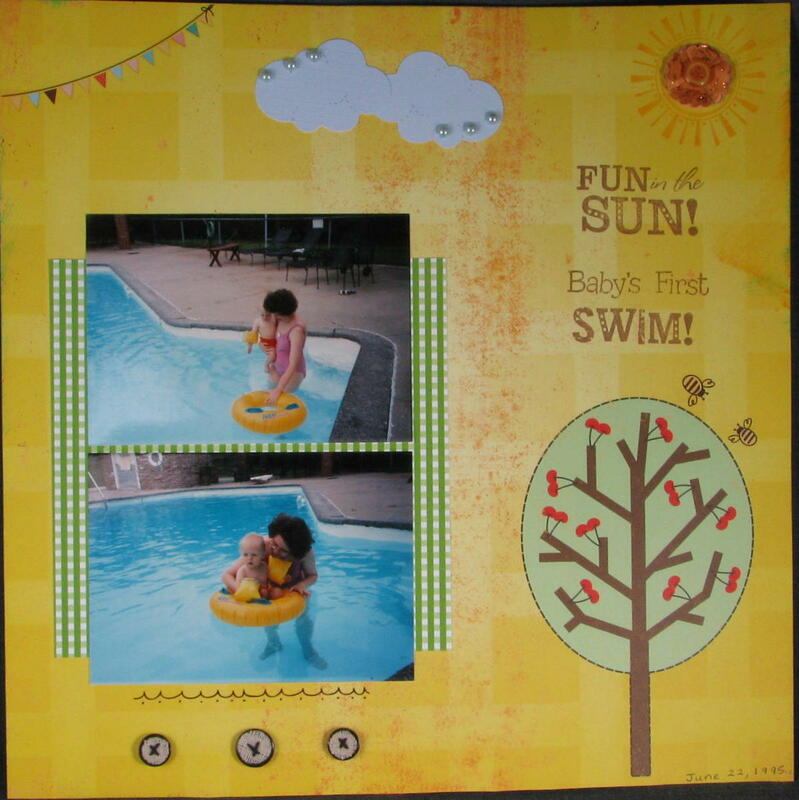 The instructions were to use only cardstock for Workout 20! Found this cool challenge site at the last minute: at http://www.citycrafter.blogspot.com/! I just had to do this! The deadline is May 24! So, I whipped this up in a hurry! 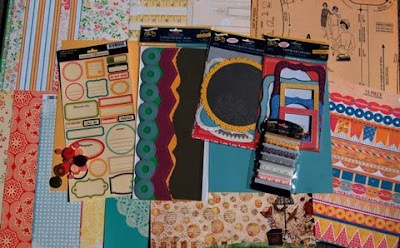 City Crafter Challenge Blog week 5 is sponsored by Krafty Kirsty Etsy Shop (vintage supplies for your paper crafting projects). 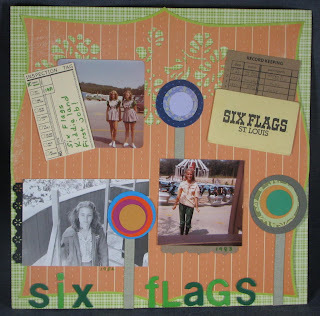 This is for Scrap Whispers Challenge 64--create a layout based on a movie! Well, the play was based on a movie! 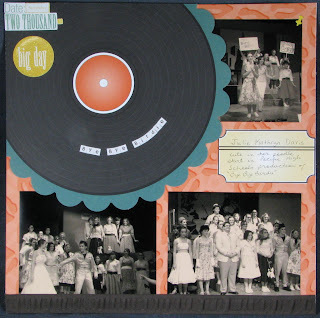 Isn't this Nikki Sivils' Dan the Record Man a cute collection?!!! I thought it went perfectly with these sepia-toned pictures of the old-fashioned play "Bye Bye, Birdie" which was set in the late 1950s. 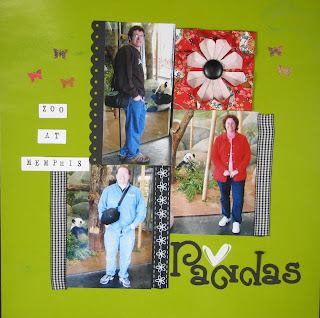 Me doing what I love the most - Scrapbooking! 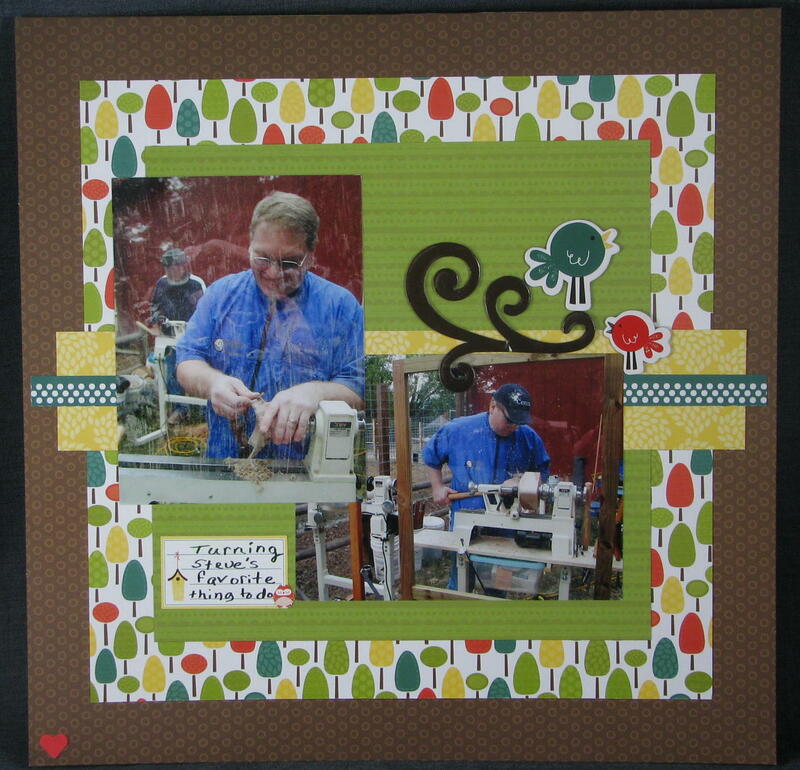 I created this LO for Scrap Whispers! It is rare for me to let anyone take my picture, but I decided it would be good to have a LO of me doing something I love so much! 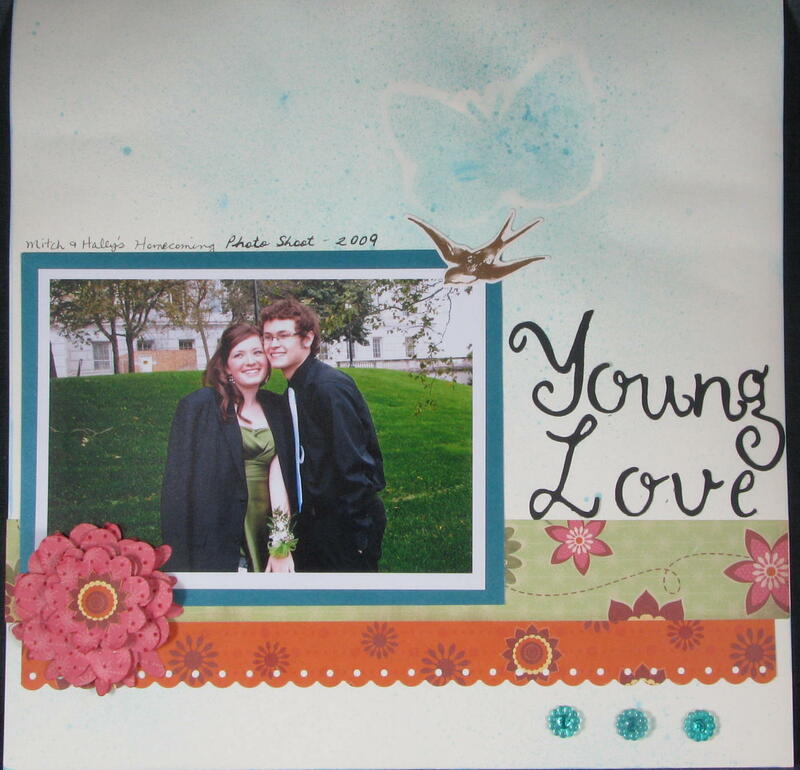 I used Cosmo Cricket's Material girl for most of the LO. 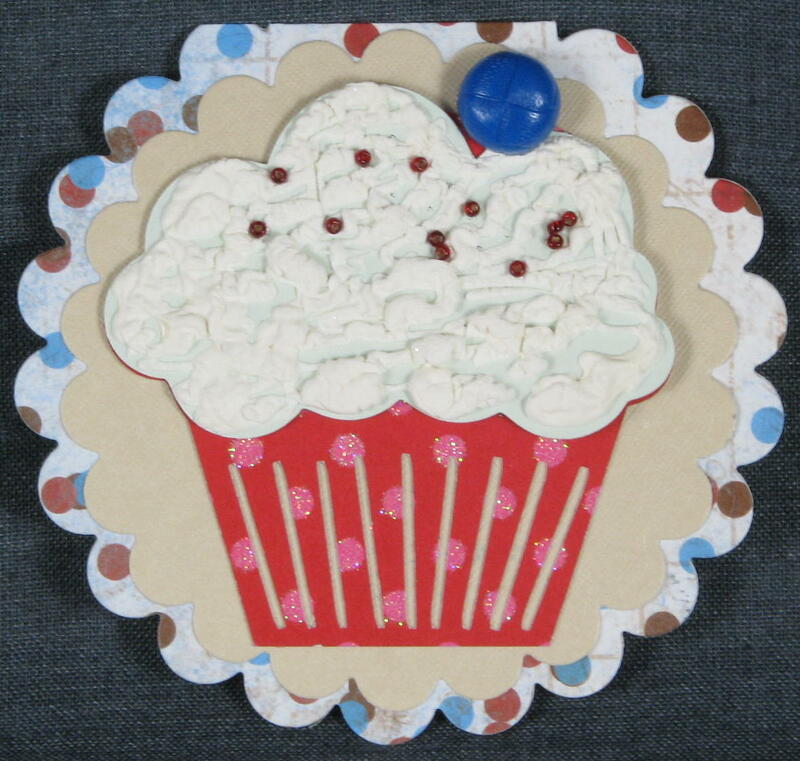 I also included things I love to use in scrapbooking: buttons (Daisy D and misc. 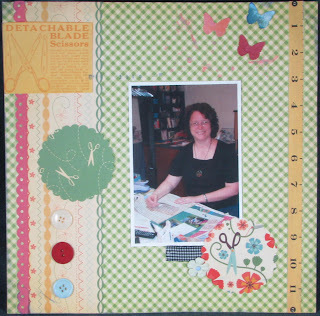 ), ribbon, butterflies, crackle paint, shimmerz (I just received from a blog friend-usually I make my own), flowers, brads, Fiskars treading water border punch, ink, scallop punch). 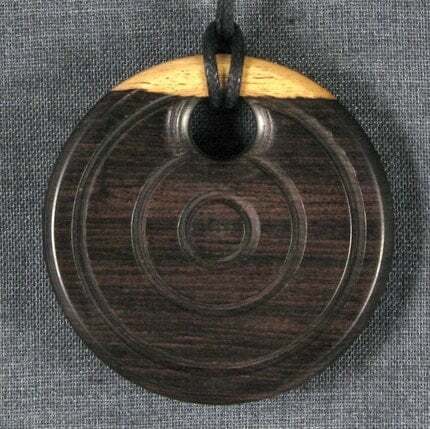 My husband is now hand-turning wooden necklaces on his wood lathe! I just had to share some! They are gorgeous in person! Here is me and one of my birthday presents from Steve! Mine has the look of aged copper! 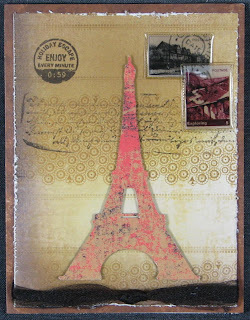 I created this for the EBTKS challenge 15! I used Pebbles patterned paper and rub-ons to create this little thank you card! 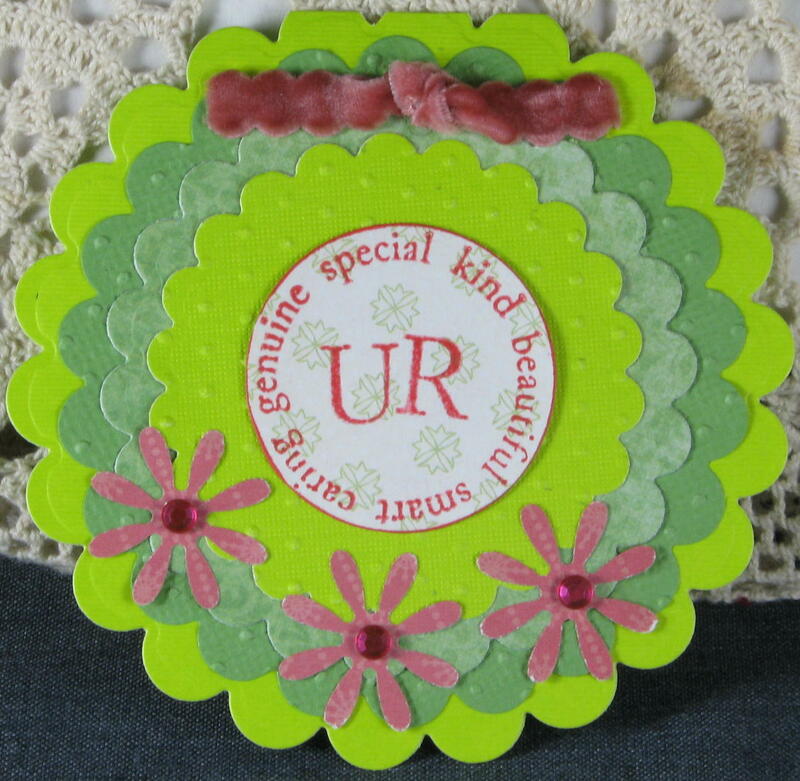 I used the Cricut to make the scalloped flower and Spellbinders to make the yellow tag! Quick and easy. 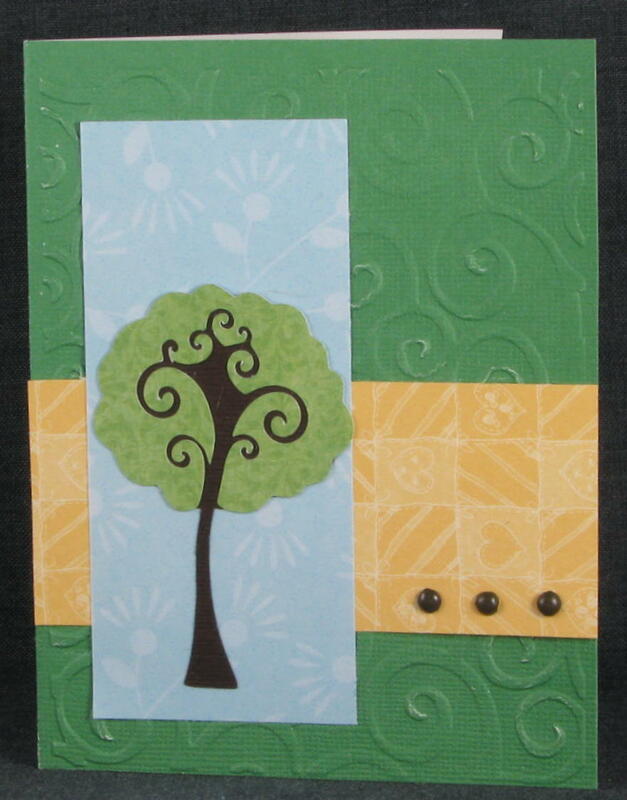 I made this card for the Etsy Inspired Challenge #88. They are featuring Creation Designs this week. 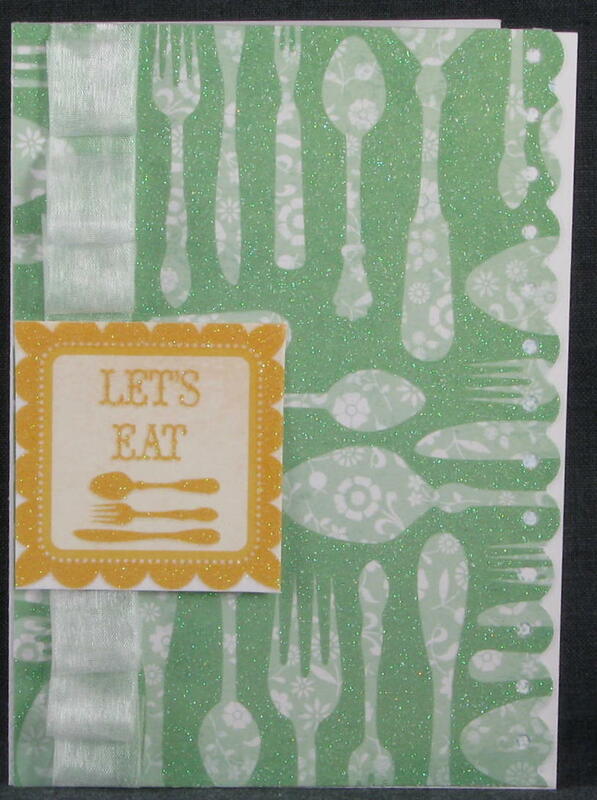 I made this for the Practical Stampers Sketch Friday challenge. Look what I won! 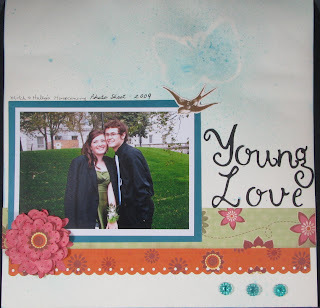 This kit and scrapbook challenge site are awesome! 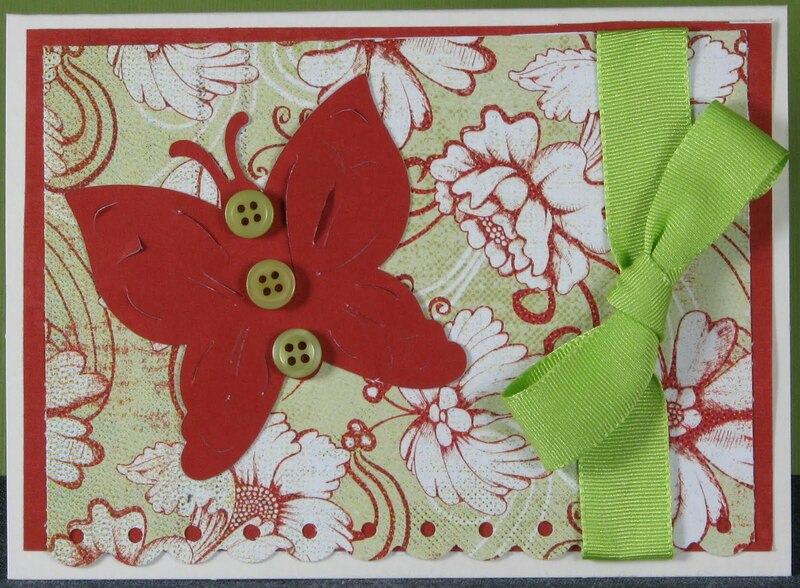 I made this for a Cards challenge to use berries! The big blue button is my blueberry. 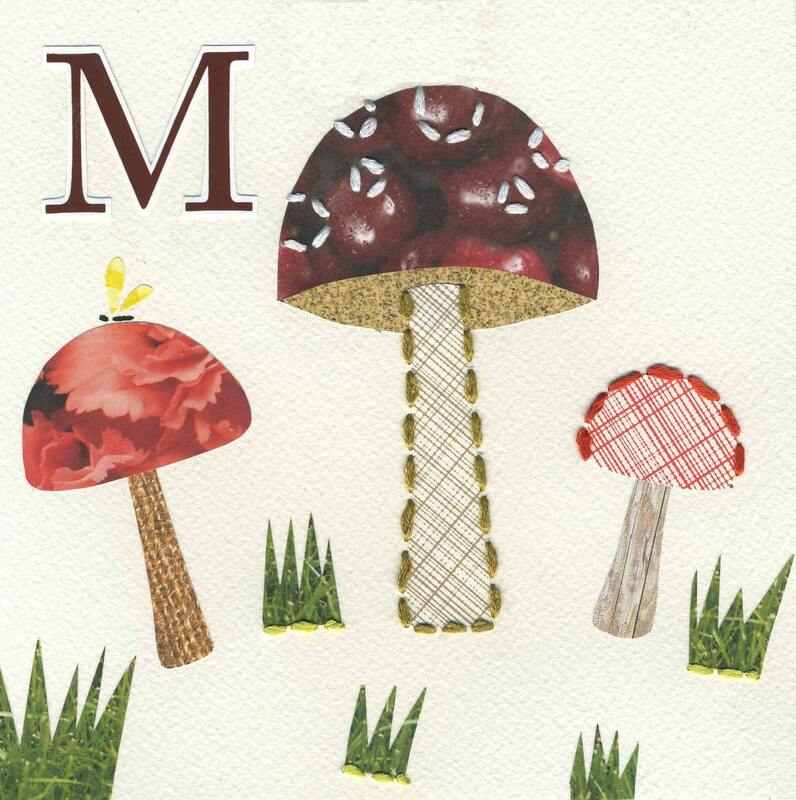 I thought the background paper looked like berries, too! Also check out http://sketchinspiration.ning.com/. They have a great challenge every week! Used Sketch #123 from Sketch Inspiration. 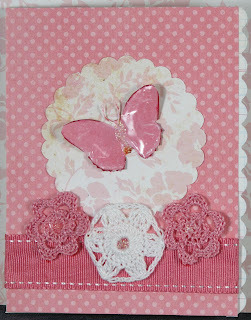 I created this using a sketch from Butterfly Crafts and an extremely inspiring prompt by Scrap Whispers Challenge 62! 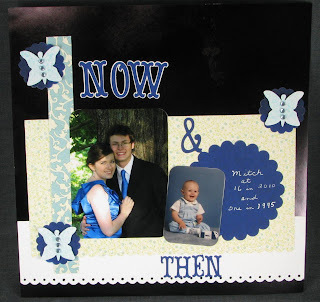 The layout is all about the change in my son from when he was one to 16. 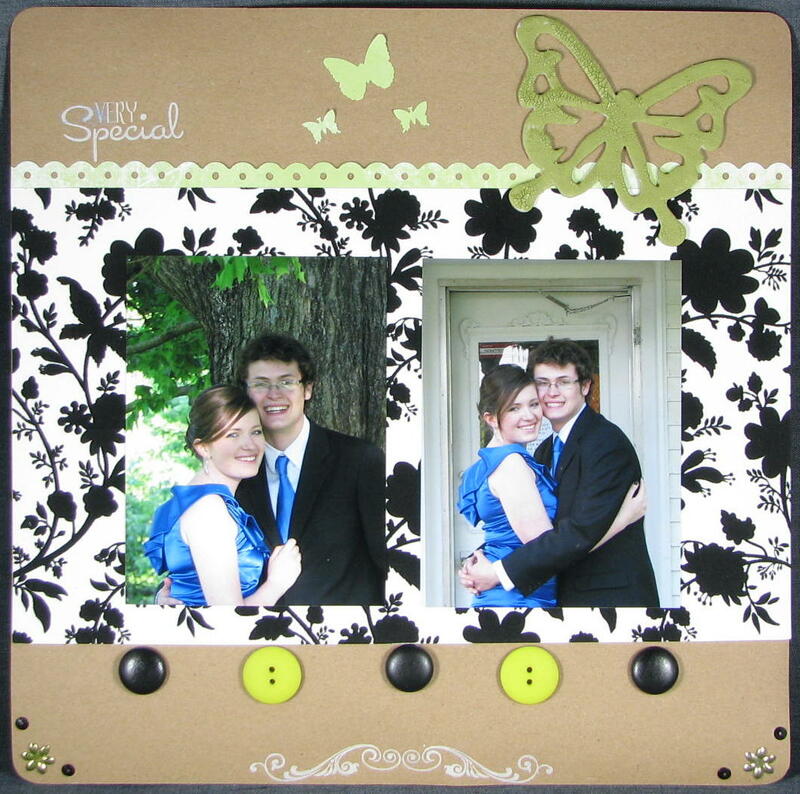 I also changed the butterflies by spraying them with a home-made mist! It is hard to see it in the photo but it is a really pretty shimmery blue! 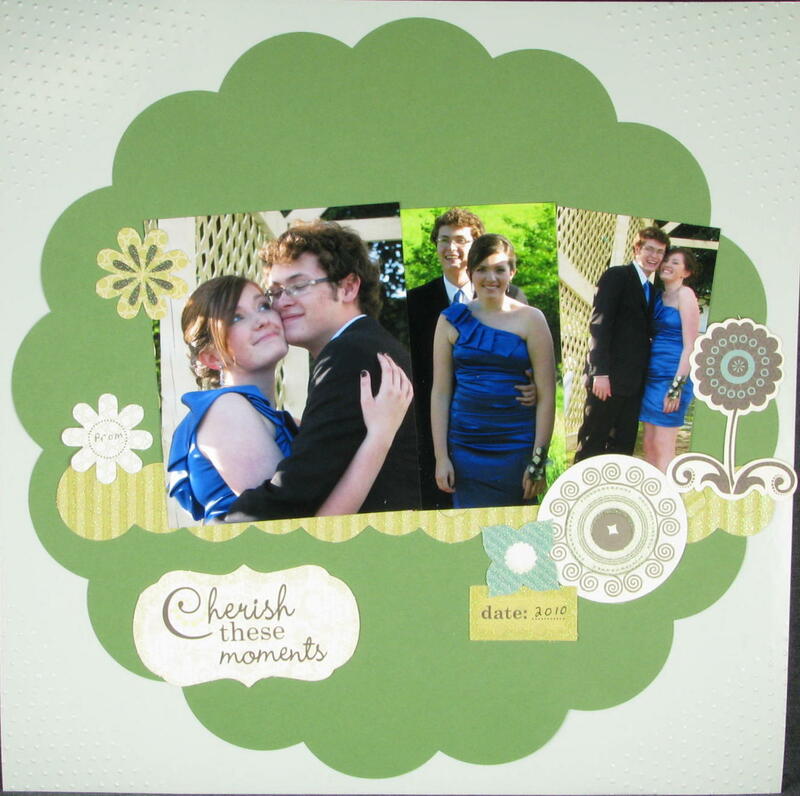 I used a Making Memories Slice mirror card stock in black which made this a little difficult to photograph. The white scallop-edged cardstock is embossed with a beautiful pattern. This was in a gift pack I received so I have no idea who made it! 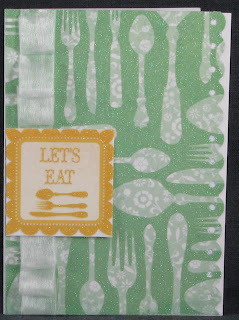 The embossing didn't show up in the photo! It's really pretty in real life! I did this card for the http://etsyinspired.blogspot.com/2010/05/etsy-inspired-challenge-87-lindsay.html. 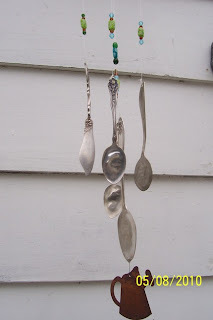 The Etsy shop this week is Lindsay Brackeen! 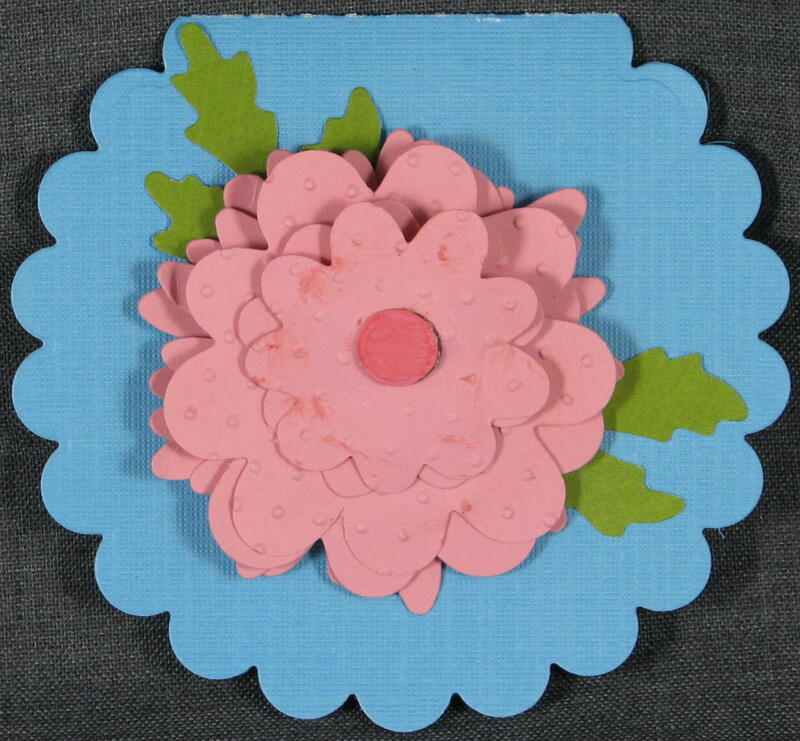 I made a box flower out of a scallop punch out of the reverse side of the mushroom patterned paper! This card fit with the Practical Scrappers challenge, so I am adding it to their link as well! I made this for ScrapFit 's mini workout. The instructions were to use the scraps from Workout 19! 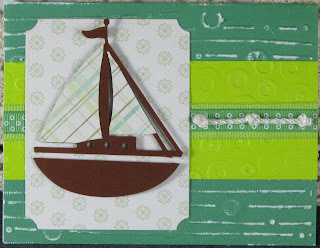 I made this for ScrapFit challenge 19! The instructions were to use what you have! That might take a while, but here is a start! 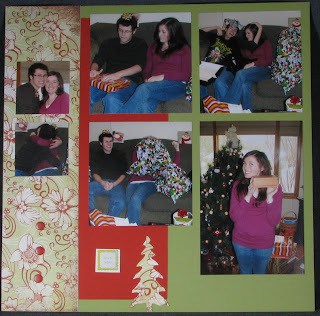 I used a non-Christmas Basic Grey piece of patterned paper. 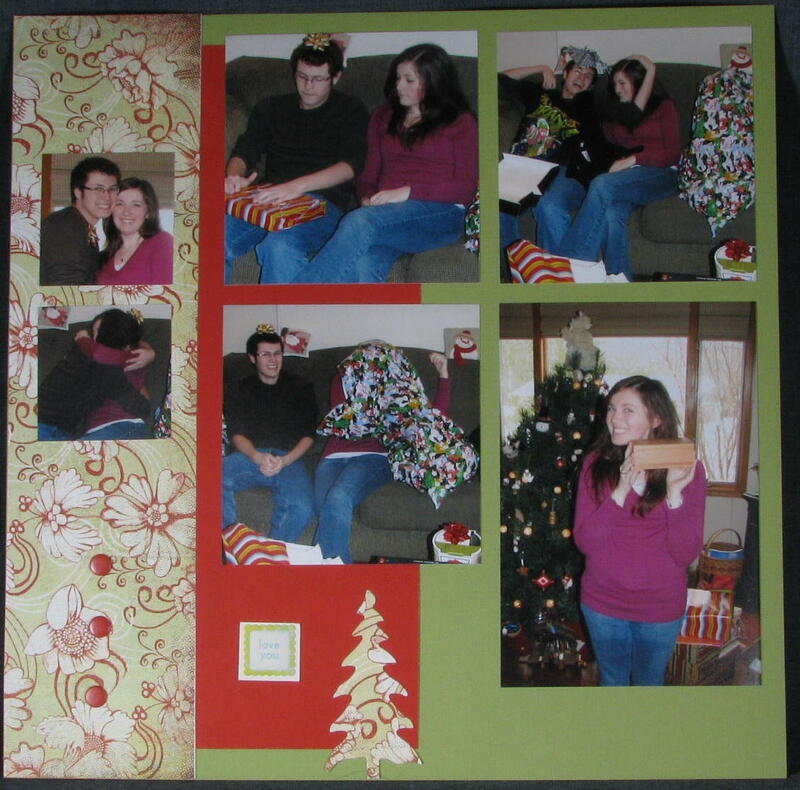 I thought it went pretty well with Christmas. 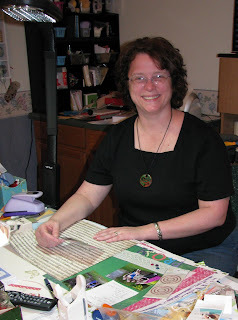 Doesn't this Alterations kit from Color Me Miki look like fun? Now, wouldn't you like to play along with me to have a chance of winning the kit? I will be on the Design Team for the XOXO from May to August! If you would like to play along, for a CHANCE TO WIN SOME GREAT PRIZES, go tohttp://truexoxogirls.blogspot.com/2010/05/challenge-9-sponsored-by-color-me-miki.html. 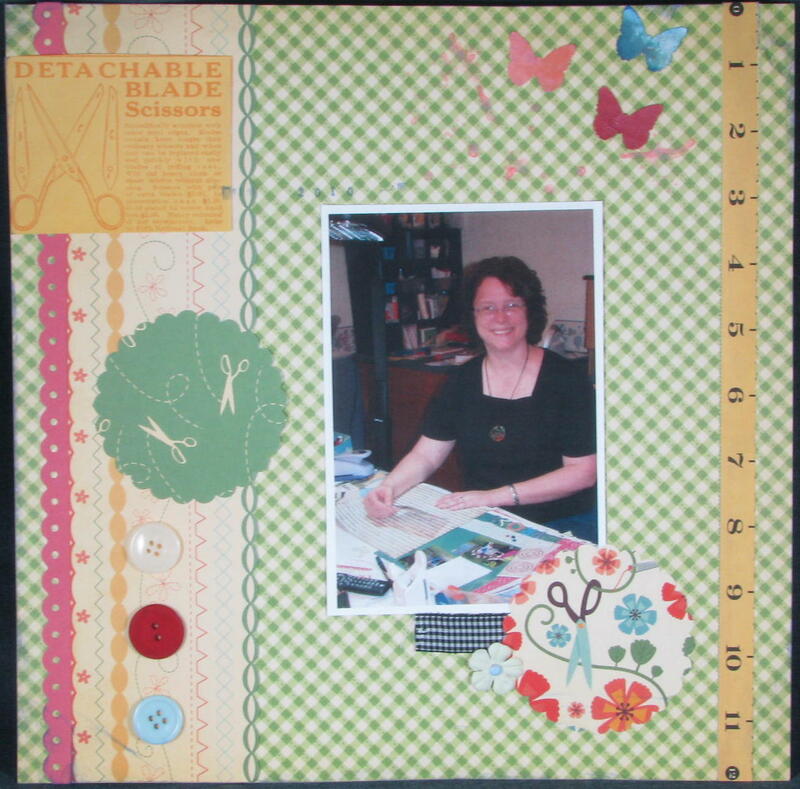 All you have to do is pick a layout [or TWO--really do as many as you want as that increases your chance to win] that you would like to scraplift. 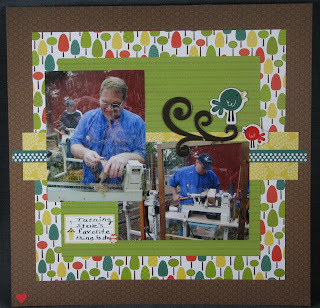 [Hopefully mine ;-) ] UPLOAD YOUR SCRAPLIFTED LAYOUT TO YOUR BLOG. Then, add your link to the comments. Do this by May 31, 2010. Make sure you come back after the challenge to vote. 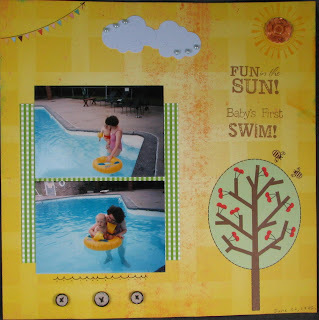 The winning layout will win a prize! 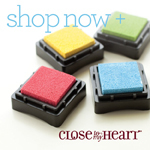 Our May SPONSOR is "Color Me Miki." I got the sketch from CPS Challenge #165. Hey, stay tuned for some exciting news! I will be posting it tomorrow 5/7/2010. There will be a challenge involved. Green and Pink Scallop - U R special, kind etc. 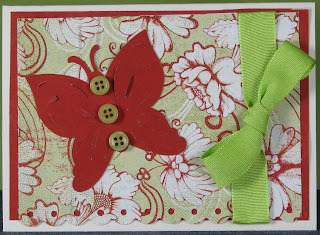 I made this card for the Moxie Fab Tuesday Trigger. It also met the requirements for the Little Red Wagon--a little, just-for-fun challenge site that I recently discovered. I was inspired by the right side of an Allison Davis sketch.